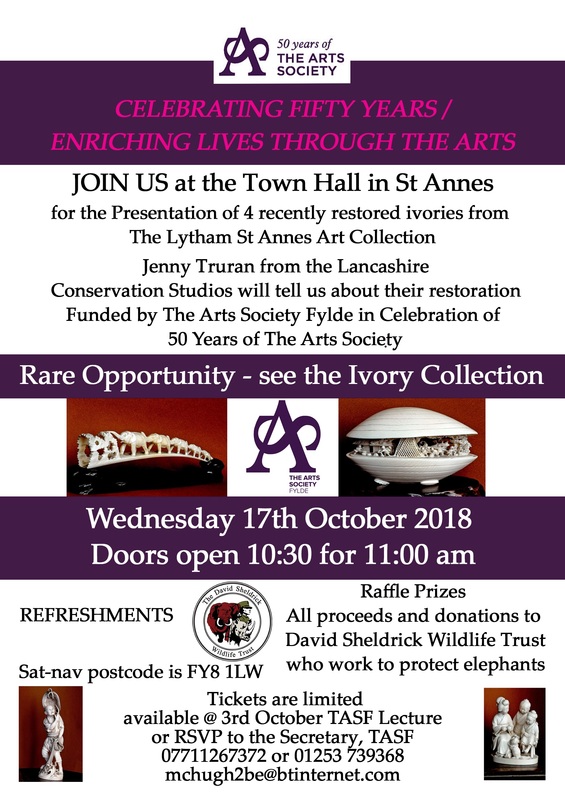 In recognition of the 50th anniversary of The Arts Society, The Arts Society Fylde took the decision to fund the restoration of four of the ivories from the Lytham St Annes Art Collection. 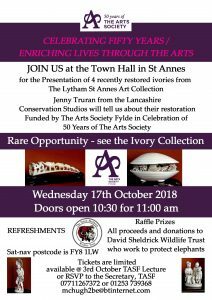 The pieces are now fully restored and will be presented back to the collection on Wednesday 17 October 2018, at the Town Hall, St Annes (SatNav FY8 1LW). Doors open at 10.30 am for 11.00 am. 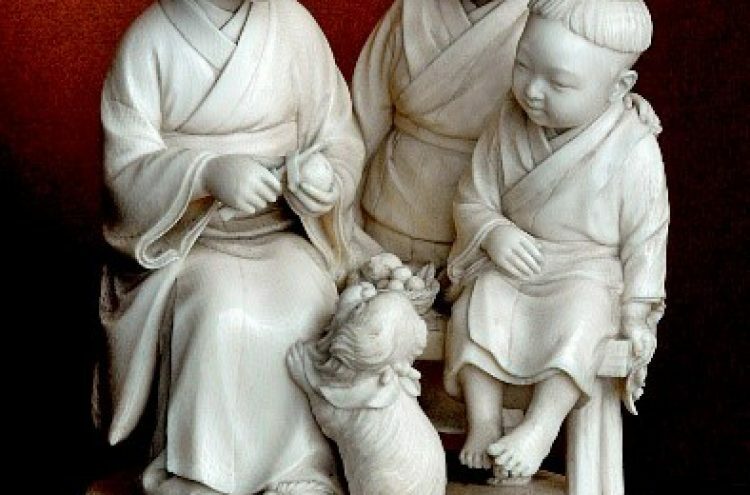 You can read more about the collection’s ivories by clicking here. Jenny Truran from the Lancashire Conservation Studios will speak on their restoration and conservation. There will be refreshments and a raffle, with all proceeds going to the David Sheldrick Wildlife Trust, who work to protect elephants. Tickets are free but limited and will be available at 3 October lecture – or RSVP to the Secretary, TASF, Tel: 07711 267372 or 01252 739368. Email: mchugh2be@btinternet.com. Please click here for more information and photos of this event.